Ultrasound Courses - Which Is The Best Ultrasound Technician Training? Thinking about increasing your medical skills and knowledge? It’s well worth taking a look at ultrasound courses which will allow you to specialize in the fascinating area of Ultrasonography. Not only is Ultrasonography an extremely rewarding profession, it’s also a great career choice too. Ultrasound technicians and Ultrasonographers are always in very high demand as healthcare professionals, and enjoy excellent salaries which are far more competitive than most in the allied health field. Safety. As it uses harmless sound waves, there aren’t the safety risks associates with using other diagnostic tools like x-rays. Lower Cost. Ultrasound sonography is an extremely cheap procedure. Flexibility. Ultrasonography can be carried out virtually anywhere – in a hospital, clinic or at a patient’s home. Patient Comfort. The process is painless and has no side effects. Real Time. Most diagnostic imaging tools take a single ‘snapshot’ image. With ultrasonography, the Ultrasonographer or Ultrasound technician can watch what is happening in the body in real time. In order to work as an Ultrasound technician or Ultrasonographer, you’ll need to complete one of the recognized ultrasound courses leading to an accredited professional qualification. There are a variety of different ultrasound courses available, depending on your experience and the amount of study you wish to undertake. In the next section, we’ll take a look at the various ultrasound courses which are available and highlight the differences between them. Which Ultrasound Courses Are Right For You? Vocational Courses. These are short courses which can range from 1 day to 6 months (part time) in duration. Vocational ultrasound training courses tend to focus more on practical skills, and are designed to give a basic introduction to theory, equipment use and practical procedures. 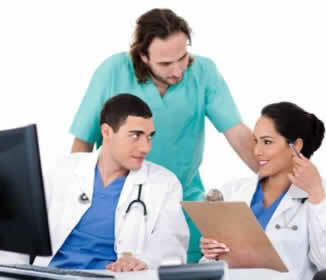 This is the most basic form of ultrasound training courses available, and these types of emergency courses usually do not lead to recognized mainstream healthcare qualifications. Vocational courses are often used to give applicants a ‘taste’ of sonography, or act as a ‘refresher’ for those who already hold more advanced qualifications but haven’t practiced in a little while. Certificate or Diploma. Medical ultrasound training diploma qualifications can be gained in around a year or less. These types of ultrasound courses are usually taken by those who already have an allied health degree (or reasonable experience in a healthcare profession) and are looking to expand their skills and expertise. While these diploma courses can also be taken by complete beginners, this is not always advisable as it could limit future employment possibilities. Some hospitals may not consider a standalone diploma to be a sufficient qualification, so it’s generally good advice to consider taking an Associate’s level course as a minimum. Associate’s Degree. An Associate’s degree takes two years to complete. It is the most popular type of all ultrasound courses, as it leads to a diagnostic ultrasound qualification which has worldwide recognition in the healthcare sector. 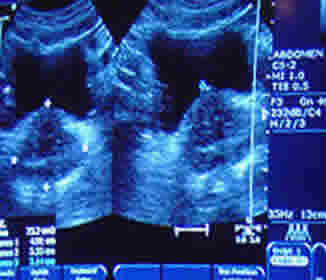 In addition, many hospitals insist that all their ultrasound technicians hold this level of qualification as a minimum. Bachelor’s Degree. A Bachelor’s degree is the most comprehensive type of ultrasound courses, and takes four years to complete. The main benefit of this level of training is that it is far more in depth, and holders usually enjoy a higher salary and better employment prospects as a result. What Subject Areas Do Ultrasound Courses Cover? Medical ultrasound education courses cover a range of subjects which will include physics, human physiology, human musculoskeletal anatomy, principles of ultrasound theory, the correct usage and safety of ultrasound equipment, therapeutic and diagnostic ultrasound techniques and patient care. In addition, ultrasound courses also include modules on law and medical ethics. Can Ultrasound Courses Be Done Online? Yes. As the internet continues to grow, more and more training courses are now being provided using online training and distance learning – and this also applies to ultrasound courses. Convenience & Flexibility. With online ultrasound courses, you have a lot more freedom and can study whenever you like at a time that’s convenient to you. Remember that with online or distance learning based courses, you’ll mainly be learning ultrasound theory (or “book knowledge”) You’ll still need to get practical experience with techniques and equipment in an actual lab environment – although many accredited training providers will also be able to help you arrange this as part of their online ultrasound courses. before enrolling on any online course, you should always contact a few online training providers first and ask them what arrangements they can offer. What Other Skills Are Needed By Ultrasound Technicians?